Need I say more? I will. Later. 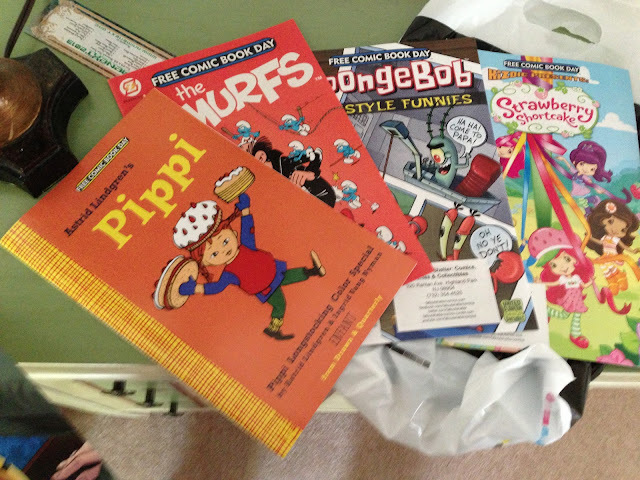 Back when I was younger, not even much younger (heck, maybe even last year) Free Comic Book Day meant something. It was a means for publishers to introduce the uninitiated onto what they have to offer (*cough*pushtheirbooksonyousoyouturnaroundandbuymore*cough*). So, the target audience of these are likely the less-read of the comic community (which I now am a part of - no regrets there though). But back in the day, it was really just a way to save a few bucks to grab some new titles. Now, I see things a little differently. A slight change from my usual fare, and the reason for that is the Munchkin. That's how I view Free Comic Book Day now. A chance for us veteran readers to get the youngins involved. 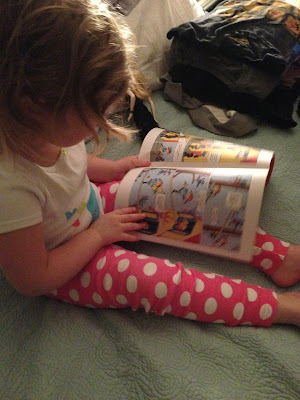 Now, Munchkin isn't likely to pick up Spiderman or Deadpool (those are Daddy's books), so how do you at least start by getting an appreciation for the medium? Mostly that's tie-ins to things they know (the reverse of the Strawberry Shortcake book is Sesame Street, and Munchkin went into the store knowing she wanted to walk away with at least that - mind you, Munchkin is 3 and can't really read yet). So, being Daddy, Free Comic Book Day is really more about getting some daddy-daughter bonding material and less about gorging on anything for myself as long as it's free. Are you passing on your appreciation of the art to your own? I should note that I cracked and asked about the crowd for Magic: The Gathering at my local store. Friday Night Magic runs roughly 8pm - 1am. I haven't been out at 1am in... We will see.